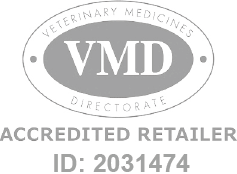 An oral solution for horses and other equines containing fenbendazole. Panacur Equine Guard - Apple & Cinnamon is a Prescription Only Veterinary Medicine and by law requires a prescription from your vet. An oral solution for horses and other equines containing fenbendazole. Panacur equine guard provides a 5 day course for the control of encysted inhibited and encysted mucosal small redworm. The bottle contains sufficient Panacur to treat a horse up to 600kg bodyweight.